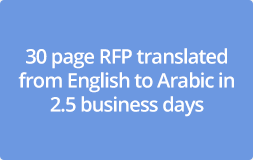 Looking for a high quality and fast turnaround translation service? 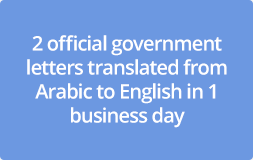 As an outsourcing research provider based in the Middle East and Africa, Infomineo offers business translation services to help streamline the communication that clients have with their international partners. The sector-specific knowledge and advanced technological tools used allow our analysts to accurately translate documents with a minimized risk of mistranslation. 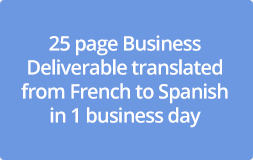 Our business translators follow a simple work process for maximised effectiveness and control. In addition to their business backgrounds, our translators speak more than 12 languages in total and come from 19 different nationalities across Africa, Europe and the Middle East. This professional background and strong language skills make them adept in proficiently translating business documents. 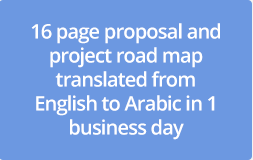 Our sector-specific knowledge and advanced technological tools allow our analysts to accurately translate documents with a minimised risk of mistranslation. Externalizing translation services has proved to be a source of competitive advantage as it allows companies to focus their efforts on achieving corporate growth by saving time and costs allocated to in-house temporary translation staffing. Submit the form below and a member of the team will be in touch shortly.